Everything in fashion goes around and comes back around. 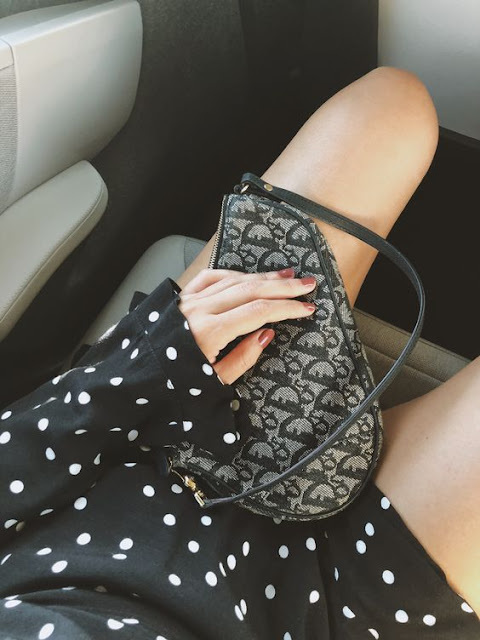 We have seen many 90s trends come back this year (the micro sunglasses, straw bags, and dad sneakers to name a few) and the Dior saddle bag is no exception. 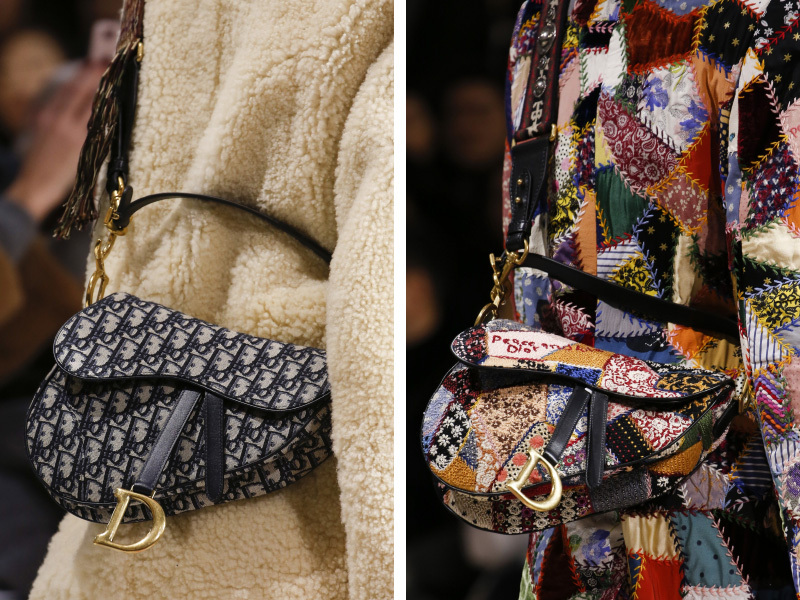 Dior creative director, Maria Grazia Chiuri, revamped the iconic Dior saddle bag and introduced it on the Fall 2018 Runway. When I saw it on the runway, I instantly knew that it was only a matter of time for the iconic silhouette to become the next it-bag. My two favorites are the denim and the patchwork version. At the latest Dior men’s show, Kim Jones also introduced a mini version of the Dior saddle bag for models to wear around their belts. The Dior saddle bag was first introduced by John Galliano in the Dior Spring 2000 ready-to-wear collection and it became a major hit in the early 00s. Who remembers seeing this bag on Carrie Bradshaw and on all the 2000s IT girls? 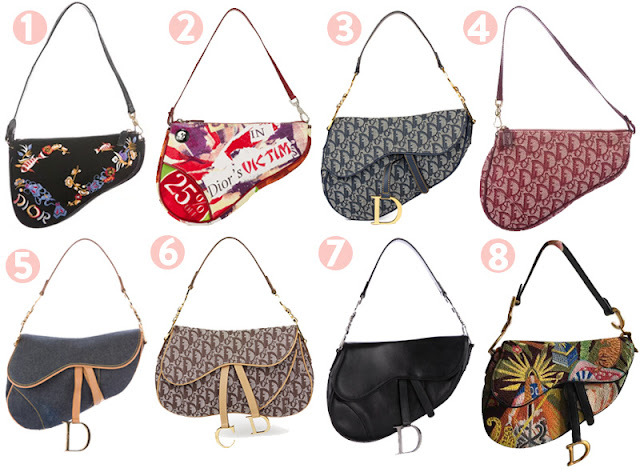 You can get the Dior monogram saddle bag Bella is wearing here. Dior is officially launching this new saddle bags today. Good news for everyone who can’t get their hands on the latest version yet, you can easily find a vintage version online from eBay, Vestiaire Collection or The Real Real. This Dior blue monogram print pouchette is super cute (and more affordable too! ).